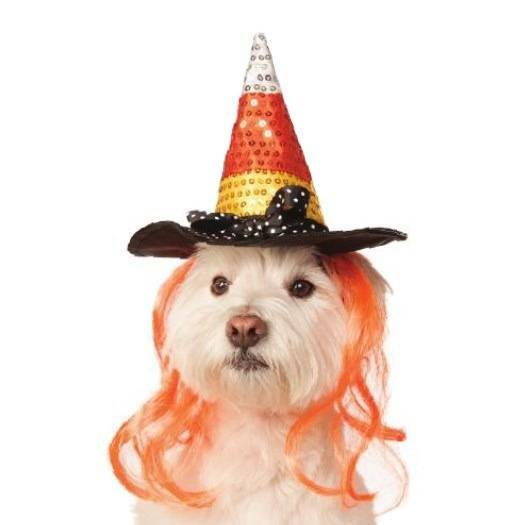 Your pet can conjure up the fun with the Candy Corn Witch Pet Hat With Hair by Rubie's! Your pet can conjure up the fun with the Candy Corn Witch Pet Hat With Hair by Rubie's! This soft hat features candy corn stripes, sequin accents and a bow with attached hair. Chart represents sizing based on the manufacturer's recommendations.